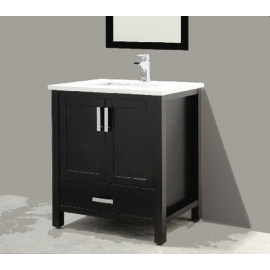 Wall mount vanity with two drawers (one is U shape for plumbing and one with divisions). 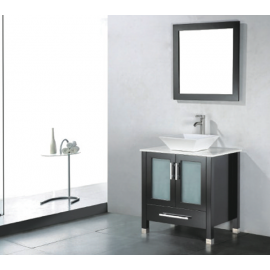 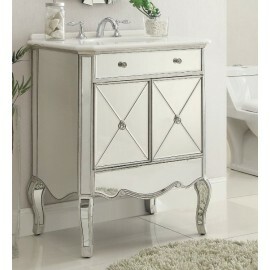 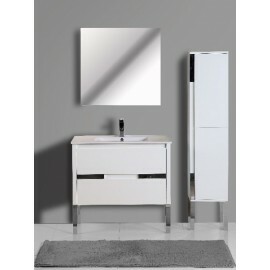 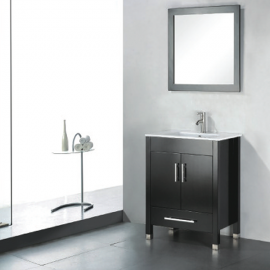 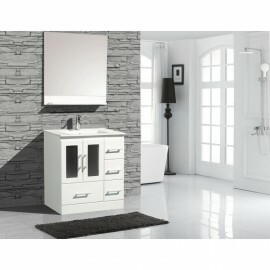 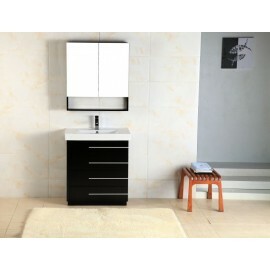 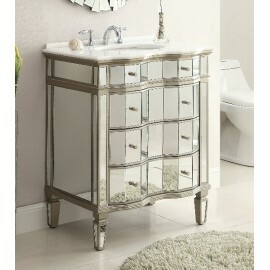 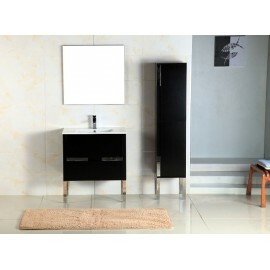 Includes fa..
Free standing all wood vanity, available in black and white matte finish. 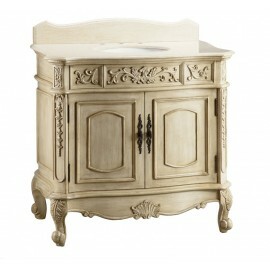 3 drawers fini.. 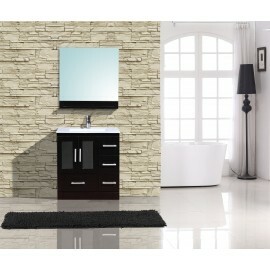 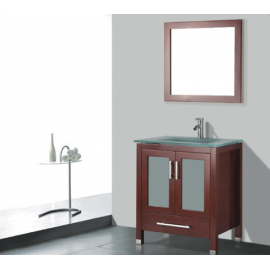 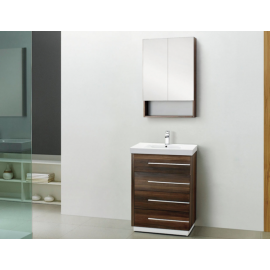 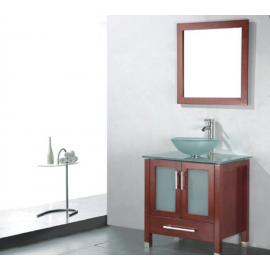 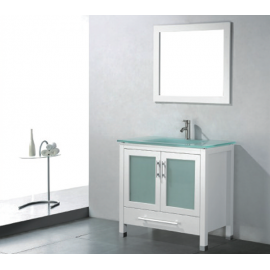 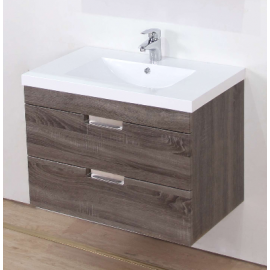 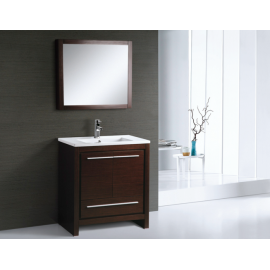 Ceramic top with integrated basin Matching mirror included wall hung, all wood vanity in high g.. 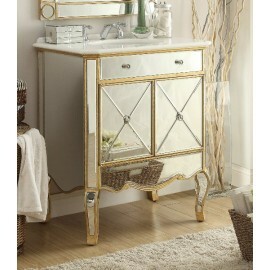 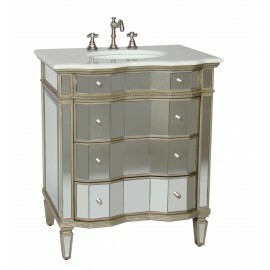 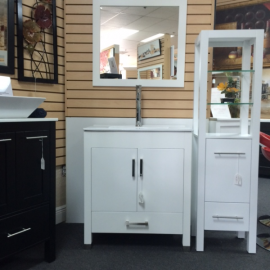 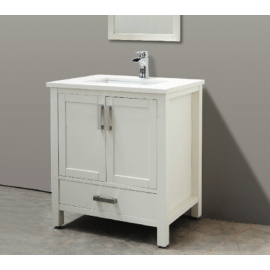 This clean lined vanity is ideal for half baths and compact powder room alike. 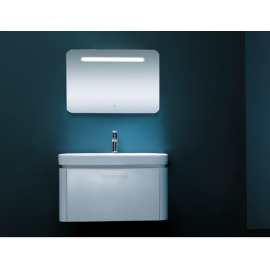 Constructed from birc..